Cozy Up Your Interior with DII Throw Blankets! These versatile throws will be a great final accord for your interior! DII offers a huge variety of throws in different colors, patterns, and materials to ensure you find the perfect one to match your vision of a perfectly balanced interior. Our throws are useful any time of the year, regardless your location. Keep one on your couch, chair, or bed for cozy nights by the fireside. Also great for chilly summer evenings on the porch or patio, or for a little picnic at your local park. Get creative with the colors and patterns that are easy to mix and match with an assortment of sizes and colors. Introduce color and interest to a dull room with vibrant hues and a sophisticated look while also adding functionality. These trendy throw blankets have become very popular due to their simple yet chic look, versatility, and dependability. 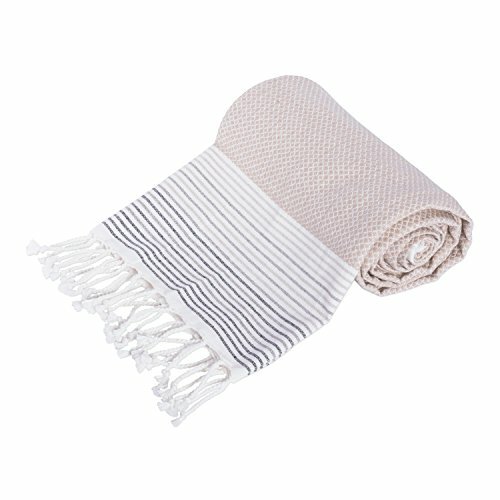 To view our entire selection of throws search: DII Throws or visit our brand page at amazon.com/dii for the full range of our Home and Kitchen products. HIGHLY ABSORBENT & COMPACT thin flat cotton weave that dries quickly, folds up very compact to fit in your beach bag or for travel. Because it is more compact, it takes up much less storage in your suitcase or linen closet. Eforgift Modern Polyester Shower Curtain Liner Fabric White No More Water or Molds, Durable Shower Curtain Standard Size, Easy Clean for Everyday Use, 72" x 72"